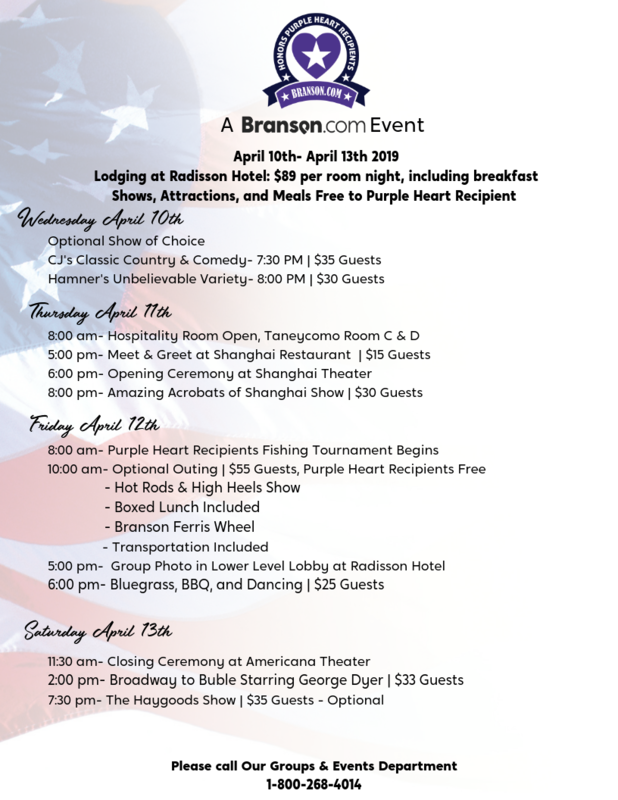 April 10th-13th 2019 in Branson, MO! To receive more info on this event, please either fill out the form OR give us a call! We live, work, and play in Branson and are eager to help you in any way that we can! Call us now at 1-800-268-4014.